Beautiful 4-BR, 2.5B home from bottom to top. Fabulous, fenced (aluminum) yard. Large rear deck. Shed. Backs to woods - lots of privacy. Enter the grand, 2-story foyer from the open, working front porch. Hardwood floors. Your formal living room is on the left. Formal dining room on right. Walk straight back to the open, spacious great room adorned with cathedral ceiling, gas fireplace, large windows and wood flooring. Your lovely kitchen has custom, cement counter tops, s/s appliances, island, an abundance of cabinets and accented by the working island and breakfast room. The powder room has been renovated and is cute as can be. Your laundry is at the end of the hall. You enter the 2nd floor through a custom gate utilized to keep your little ones and pets where you want them. Open loft overlooking both foyer and great room. Three bedrooms have new carpeting and were recently painted. Two of the bedrooms have custom "hanging" beds that will remain. Main bath has been recently renovated. Enter the master suite... large w/I closet, cathedral ceiling w/fan, newly painted, complimented w/den/nursery/exercise room. Master bath presents a soaking tub, separate shower and his and her sinks. You don't have to share. Crawl space is finished w/a concrete floor and is about 4' high allowing for a wealth of storage. The 2-car garage comes w/opener, work benches and a magnitude of shelving. Now, lets talk about the landscaping... it is beautiful. Year-round blooms and beautiful trees. Septic is 2 years old. 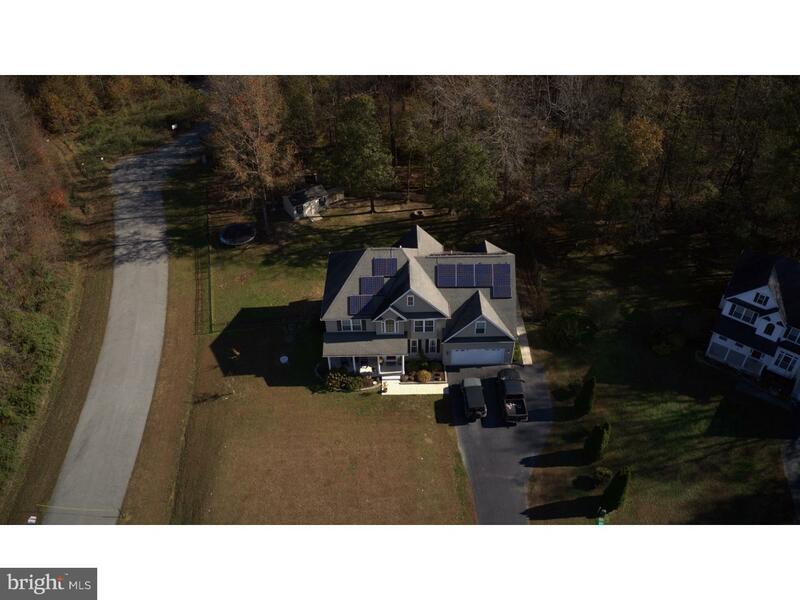 Energy efficient solar panels will remain and payment will be assumed by buyers (the bills are exceptionally kind - payment includes your electric usage). This truly is a special home and cared for lovingly. Enjoy your location just off the cul-de-sac. Corner lot. It definitely stands out from the others.